SUE: Hi Beatrice, tell us a little about yourself. Readers want to know! BEATRICE: I'm Beatrice and I blog at Confessions of a Pinay Bookaholic. I read books in random genres and explore their each beauty. YA/NA/Adult Contemporary Romance is my favorite genre. You can follow me on Twitter and Instagram (@beamasalunga) and on Goodreads. SUE: Thinking about the books you’ve read over the years, what character stuck with you the most and why? BEATRICE: Lisbeth Salander from The Girl with the Dragon Tattoo by Stieg Larsson. She's the most badass woman ever. She may look fragile but never underestimate her capabilities. She's a fighter who hates misogynists. SUE: Have any fiction books affected your life? If so, how? BEATRICE: Yes. The Perks of Being a Wallflower by Stephen Chbosky had a huge impact in my life. I had difficulties in getting along with others and if I'm with a circle of friends, there are times I am invisible to them. Being left out hurts my feelings. I am incredibly moved by its story and it's filled with life lessons. BEATRICE: I don't like dog-earring books and book cover changes. SUE: What pulls you in? BEATRICE: The story itself. Especially when I'm enjoying it. It's hard to put it down. SUE: What makes you keep thinking about a book long after you’ve read the final page? BEATRICE: Usually I'm reflecting on it. What did I learn about this book? How these characters left an impact on me and sometimes (if it's a series) I'm thinking what happens next. BEATRICE: I say both. Kindle by night, Paper by day. SUE: If you visit Amazon to check out a book, what’s the first thing you do when you land on the book detail page? BEATRICE: I usually check the summary of the book. SUE: What are your thoughts on book reviews? How important are they? Do you trust them? Do you ignore them? BEATRICE: I'm really careful about reading book reviews because some of them contain spoilers. I usually read them after I finished the book. Book reviews are important for authors, regardless of whether it's negative or positive feedback. It's one way for improvement and encourages them to write more stories. As for readers, it's one way of recommending books but should indicate if it's a spoiler or non-spoiler review. SUE: Do book covers matter? What are some of your favorites? BEATRICE: Yes. It's one way of attracting people to read it. My favorite book covers are: The Unbecoming of Mara Dyer by Michelle Hodkin, Bloodlines by Richelle Mead, Maybe Someday by Colleen Hoover, Hero by Samantha Young, Legend by Marie Lu etc. SUE: How do you find out about books? And what makes you take a chance on a new author or book? BEATRICE: I search books mostly on Goodreads. I take a chance on a new book or author when it's recommended or whenever I'm captivated with the book summary. BEATRICE: My reading experience is such a wonderful experience. Discovering new books and authors and as well as meeting friends locally and across the world. The Book community is very welcoming and I'm so glad to be a part of it. Sue Wyshynski is the author of The Butterfly Code. Sue loves bringing the immediacy of TV and film to her novels, having spent many years in the entertainment industry. Sue believe stories should be immersive, emotional and action-packed. 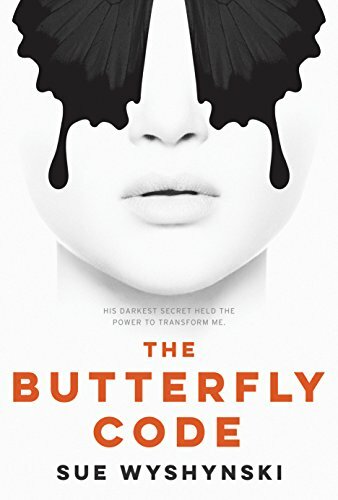 If you're curious about Sue's work, begin reading The Butterfly Code for free now, or see it in the Amazon store. Hi, my name is Sue Wyshynski. I'm the author of The Butterfly Code, but I'm also a reader. I love talking with readers about books, and I know you'll love hearing what they have to say. So come on in and stay awhile! I want to feature you!